The U.S. military will face a difficult task in identifying the remains of soldiers missing from the Korean War as the Pentagon prepares to receive them from North Korea in coming days, officials and experts said. U.S. President Donald Trump, who met with North Korean leader Kim Jong Un at an historic summit in Singapore this month, said on Thursday that Pyongyang was in the process of returning the remains of U.S. troops missing from the 1950-1953 conflict. The Pentagon has said North Korean officials have indicated in the past they have the remains of as many as 200 U.S. troops, and Trump himself has mentioned that figure. U.S. officials expect the remains to be handed over to United Nations Command in South Korea at Osan Air Base near Seoul then transferred to Hickam Air Force Base in Hawaii. Once in Hawaii, forensic experts will face the challenge of identifying the remains. Among the techniques they could use are detective work with old photos, comparing DNA from remains to that of missing soldiers' relatives and analysis of dental work. The official, who spoke on condition of anonymity, said it could take months and even years to identify the remains. Cases of co-mingled remains are the most difficult because they require identifying which skeletal fragments belong to the same person, said Luis Fondebrider, president of the Argentine Forensic Anthropology Team, a non-governmental group that applies forensic science to investigate human rights violations. The degree that bones have broken down is also important, and deterioration, such as from being under soil, can affect whether DNA can be recovered, he said. Remains that North Korea has handed over in the past have not always been identifiable as U.S. troops, despite the dog tags North Korea handed over with them, according to a 1994 RAND Corporation research report. 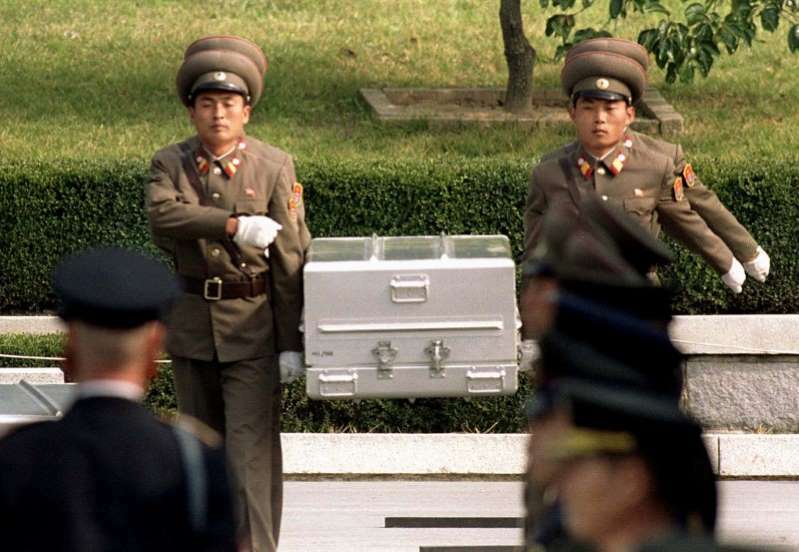 Between 1990 and 1992, North Korea returned 46 sets of remains, according to the report. "With no exception, every North Korean claim associated with human remains has shown to be false. For example, these 46 sets are actually fragments of more than 70 individuals," the report said. Forensic analyses suggested none were American, the report said. Richard Downes, whose father went missing in the Korean War and is president of the Coalition of Families of Korean & Cold War POW/MIAs, was optimistic the Trump-Kim summit would lead to the return of more remains. "But we've seen this before, and that was words on a paper and promises made, so now we have to see action," he said. A more effective way of repatriating remains is to have a joint mission between U.S. researchers and the North Korean military, Downes said. The United States conducted joint recovery operations from 1996 to 2005. That method enabled U.S. researchers to keep the remains more intact and to glean clues from their surroundings. About 7,700 U.S. military personnel still remain unaccounted for from the 1950-53 Korean War, U.S. military data show. More than 36,500 U.S. troops died in the conflict.